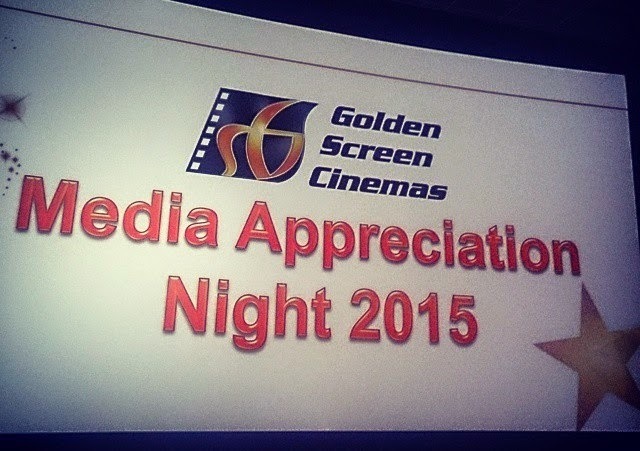 Another year, another Media Appreciation Night organised by Golden Screen Cinemas (GSC) to express their appreciation to the local media including lousy small time bloggers like myself. It was held on April 3rd at their recently opened outlet in Nu Sentral Mall KL and like previous years, we got to see the highlights of what’s coming this year from the cinema chain giant and their film distribution company, GSC Movies. Manager) and Mr Kelvin Chee (Senior Manager, Cinema Operations). There were massive lucky draws again and for the first time ever in my life, I won something expensive – iPhone 6 Plus – all thanks to the hand of the beautiful Ms. Koh Mei Lee that drew the number 076 for the recipient of the second biggest prize of the night. Wasn’t expecting it at all, it was truly a pleasant surprise. I actually didn’t even know what I won until I took the prize back to my seat. be the leading cinema exhibitor today without everyone’s support especially for its loyal customers. screens), Sarawak before this year end. chain like the recent introduction of Dolby Atmos revolutionary 3D audio system, D-BOX motions seats, 4K projectors and the larger screen GSC Maxx halls. The event wrapped up with a screening of Fast & Furious 7, the biggest blockbuster at the moment. As usual, I will be reviewing all the releases that I think has potential to be good. Stay tuned! Easy money mah. Most people in those 2 countries only know how to see celebrities… like our country.